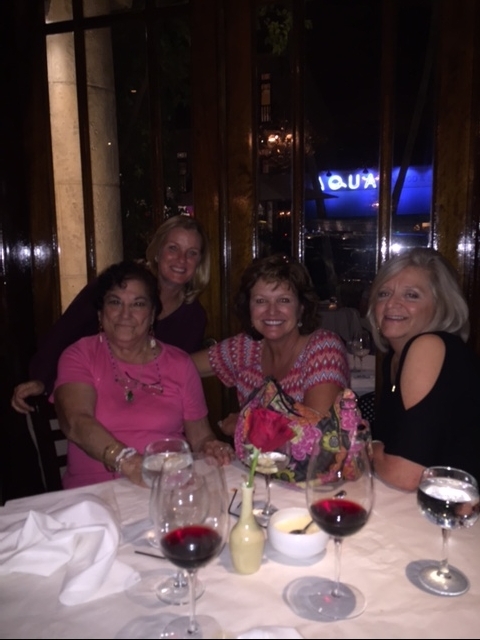 I have blogged before about the wonderful Phyllis C in Naples, Florida. 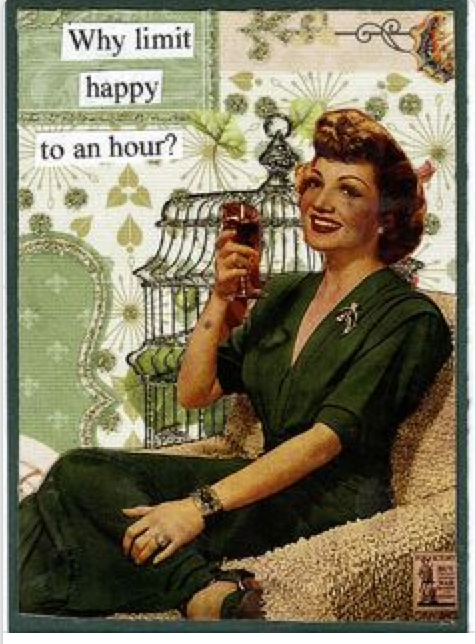 She has turned out to be a dear friend to me, even though we have never met in person (but I know we will some day!). Phyllis has been teaching Mah Jongg for many, many years and her students always become her dear, dear friends. She saw I had posted my “Ann Israel Eyeglass Leash” (available from Gehazi Collections) and, before you could blink, she had made dear friends with Sandra from Gehazi Collections! No one can resist Phyllis! Here I am all decked out with my Mah Jongg eyeglass holder, along with my new gifts of my Mah Jongg bracelet (Mah Jongg Queen) and beautiful earrings given to me by my student and now dear friend, Diane M, in striped pink shirt. Pictured are my previous students and now best friends, Lola and Lisa. Mah Jongg has given me so much. If the picture doesn’t show my precious Mah Jongg jewelry too well, I will have to try taking another one soon to truly show it off!! 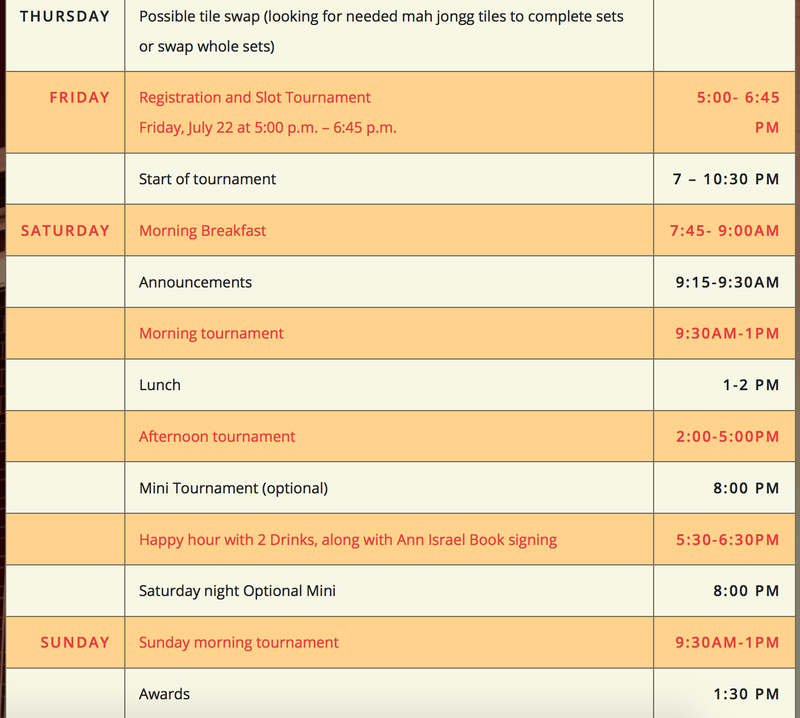 Can hardly wait to show my class – plus my Mah Jongg friends – my treasures!! So many wonderful friendships. And I also have you two!! This entry was posted in Mah Jongg and Me and tagged Ann Israel, eyeglass leash, Florida, Gehazi Collections, mah jongg, mahjong, naples on October 21, 2015 by Mah Jongg and Me. Join author Ann Israel for a special presentation of her gorgeous book! 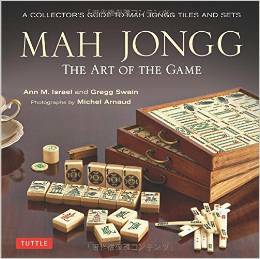 Mah Jongg: The Art of the Game is the first book to fully capture the story of the exotic and exciting game of Mag Jongg, offering an intimate look at the history of the game as well as the visual beauty of the tiles. When authors Ann Israel and Gregg Swain began playing Mah Jongg, they were unaware of the vintage collections that existed not only in the United States but also as far ranging as Africa to New Zealand. Slowly, they started to collect their own sets of Mah Jongg and as their collections grew, so did their appreciation of the history of, and interest in, the game. 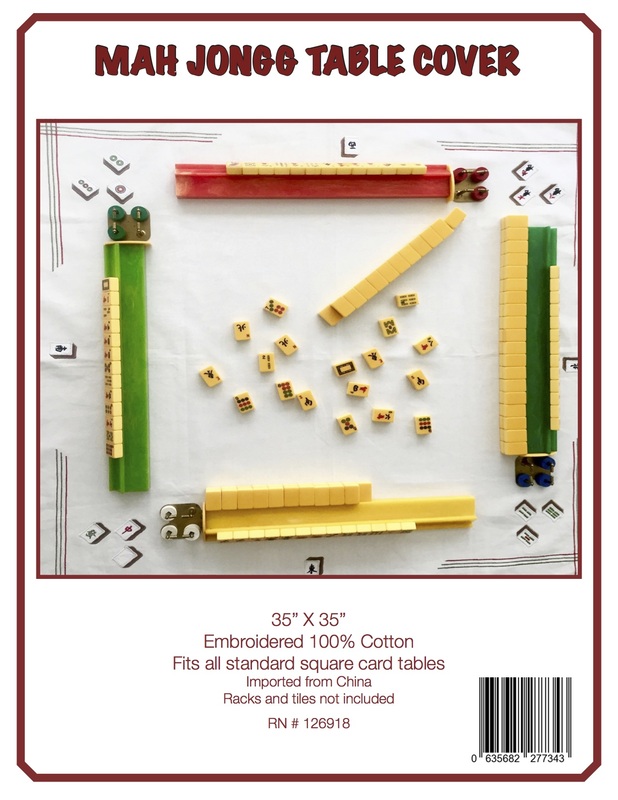 Finding few references, Israel and Swain set out to create a book that chronicles the early beginnings of the game and documents Mah Jongg sets from the most basic, made simply of paper, to the most precious materials such as ivory and mother-of-pearl. Recognized and respected scholars and game experts have collaborated with Israel and Swain, contributing important chapters on the game’s history and its pieces as well as technical information on the tiles. Lastly, great collectors from around the globe have shared their incredible sets and memories for the first time in one book for everyone to enjoy. With hundreds of beautiful new images by renowned photographer Michel Arnaud, and including historical documentation and ephemera, Mah Jongg: The Art of the Game fills the void between the past and today’s game, providing vision, inspiration and resources. Anyone who has ever been intrigued by a Mah Jongg tile will find in these pages visually stunning photographs that will entice them into becoming an enthusiast of the timeless game of Mah Jongg. We’re Westhampton Beach’s own independent, locally-owned bookstore, right in the heart of Main Street. We have all the latest titles, from the most talked-about bestsellers to hand-picked favorites, a bustling children’s section, and a staff that knows books inside and out. Stop by anytime to find the perfect book, attend an event with your favorite author, or just to catch up on what’s new in town. This entry was posted in Mah Jongg and Me and tagged Ann Israel, book signing, Books & Books, mah jong, mah jongg, mahjong, Westhampton Beach, Westhampton Free Library on August 25, 2015 by Mah Jongg and Me. YES, I AM DEFINITELY A FAN! From Twitter: She loved it so much that we named it after her. She said SHE was honored, but the truth is that it is WE are honored to know her! Thank you Ann for being such a wonderful fan and supporter. Item is about 24″ and is dazzling in black and white. The truth of the matter is that I receive so many compliments on this eyeglass leash. If you need some Mah Jongg accessories, please think of Sandra at Gehazi Collections. 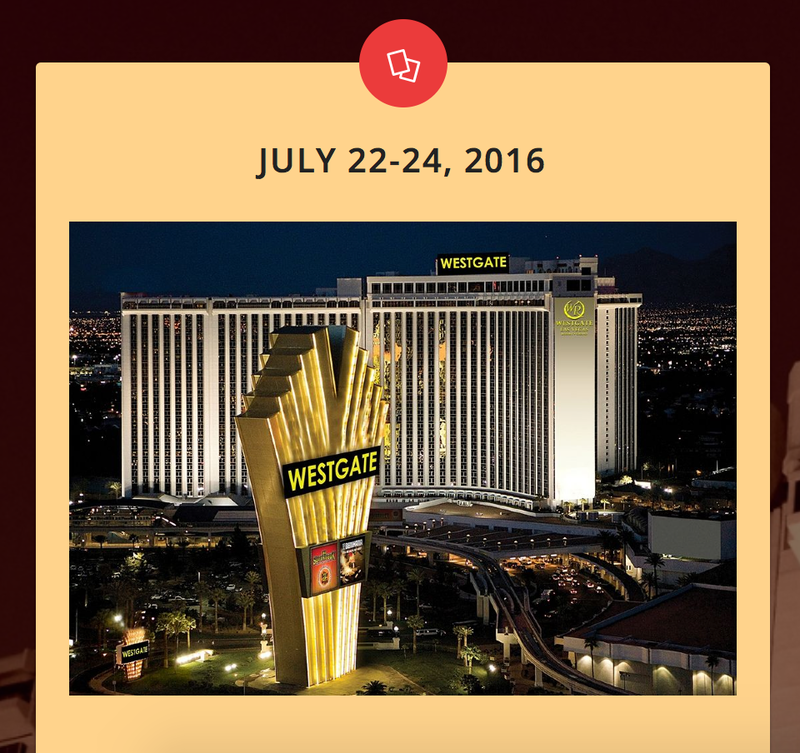 And be sure to use this code – GEHAZI2015 – to get 20% off your order through the end of this year! Thank you, Sandra!!! You are the best!!! 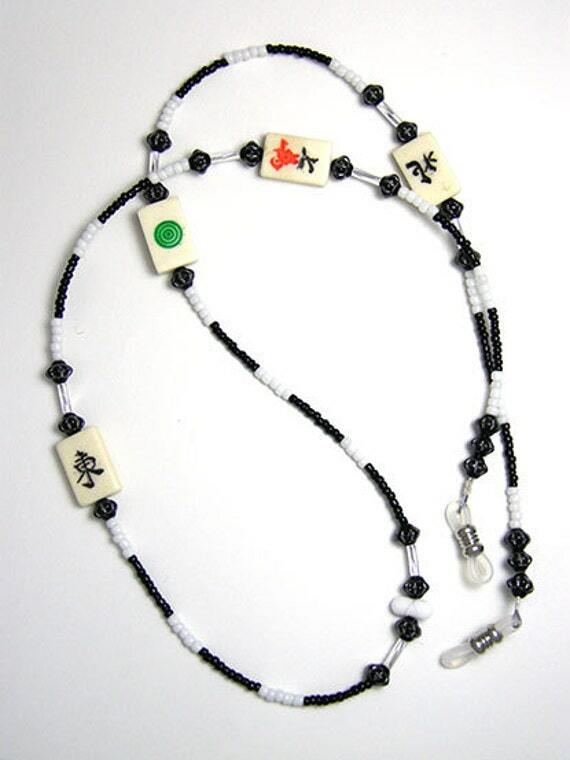 This entry was posted in Mah Jongg and Me and tagged Ann Israel, etsy, eyeglass leash, Gehazi Collections, mah jong, mah jongg, mahjong on August 1, 2015 by Mah Jongg and Me. 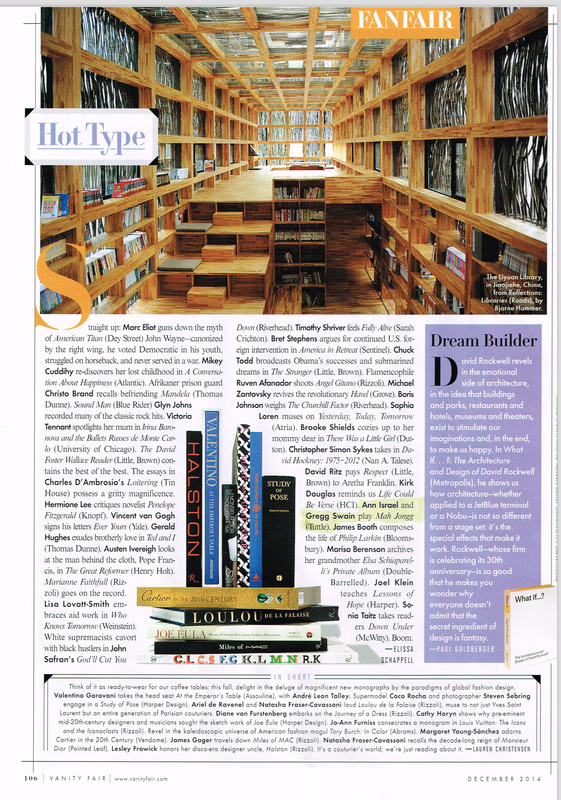 So exciting – our book, Mah Jongg The Art of the Game, is mentioned in this month’s issue of Vanity Fair. 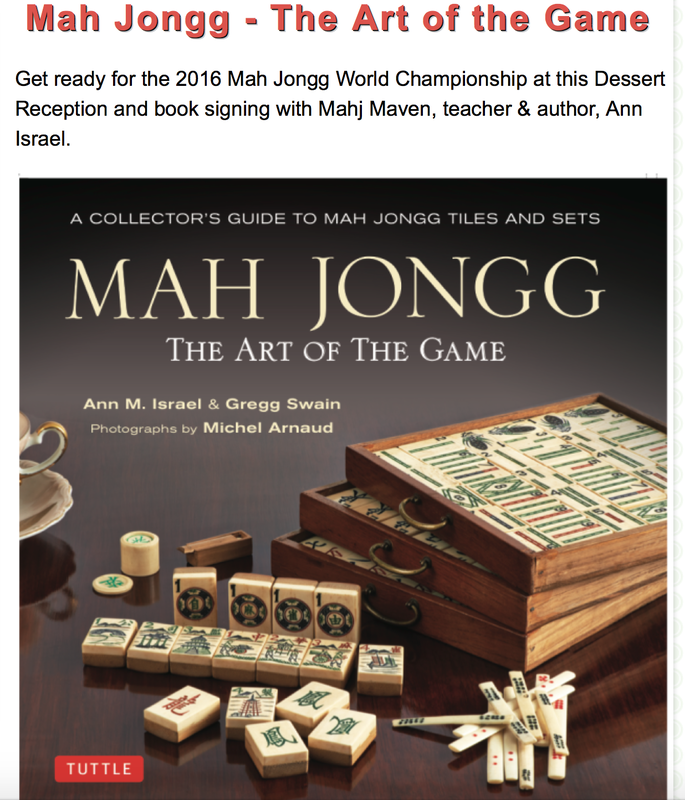 Just a reminder… and a big favor to ask of you – if you have received a copy of our book, Mah Jongg The Art of the Game, please write a review on Amazon. I can’t begin to tell you how much I would appreciate it! This entry was posted in Mah Jongg and Me and tagged Ann Israel, mah jongg, Mah Jongg: The Art of the Game, Vanity Fair on November 24, 2014 by Mah Jongg and Me. Ladies Invade Homes in Search of Mah Jongg Sets! Ann M. Israel and Gregg Swain were after private Western mah jongg collections when they invaded many homes during their search, but they aren’t burglars! They are photo-archeologists, and private homes were their dig! Hidden deep in the dark of basements, closets, and attics all over this world are some of the most amazing mah jongg treasures people might never see; tiles carefully hand carved and painted by artisans long forgotten. Like skillful and patient archeologists, Ann M. Israel and Gregg Swain set out to unearth these lost works of art before they are forgotten forever. 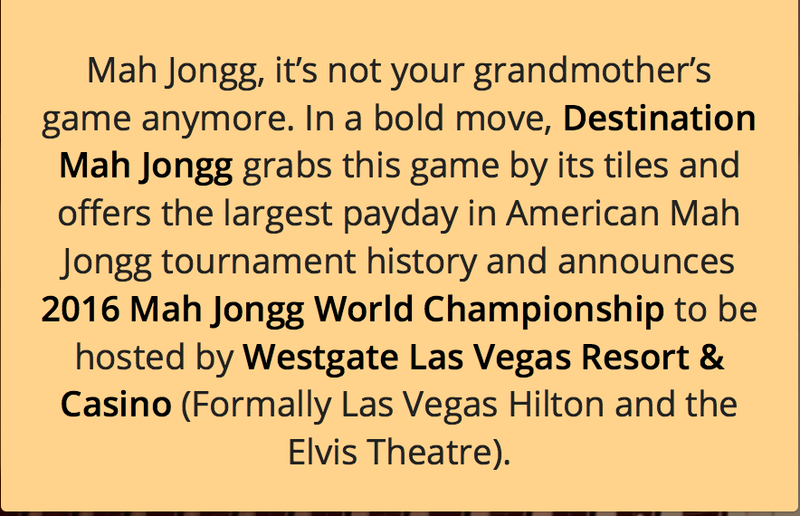 This entry was posted in Mah Jongg and Me and tagged Ann Israel, mah jongg, Mah Jongg: The Art of the Game, mahjong news, scott miller on November 20, 2014 by Mah Jongg and Me.